Heat oven to 350°F. 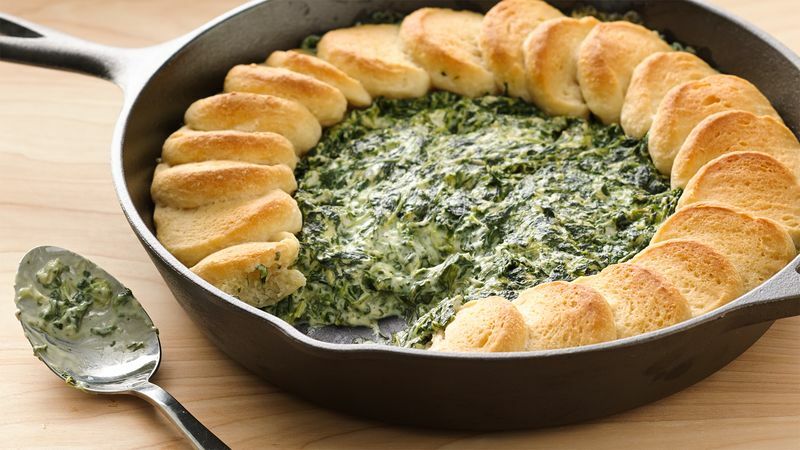 Make both boxes of spinach as directed on boxes. 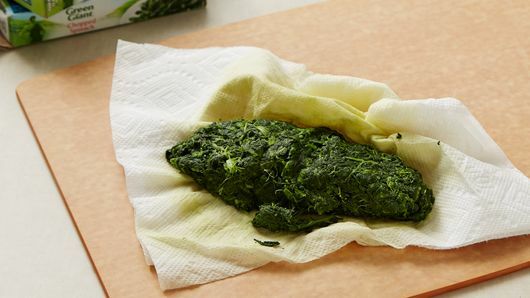 Squeeze cooked spinach between paper towels to remove excess moisture. 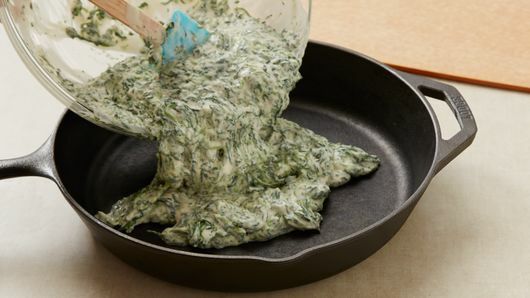 In large bowl, mix spinach and Alfredo sauce until well combined. Transfer to ungreased 10- or 12-inch cast-iron skillet. Cut French loaf into 24 slices, about 1/2 inch thick. Arrange slices in a ring around edge of skillet, overlapping slightly. Bake 25 to 30 minutes or until dough is done and deep golden brown and filling is bubbly. Cool 5 minutes. Serve warm. From easy dinners and apps to irresistible desserts, the versatile cast-iron skillet can be used to make almost anything and is a must-have kitchen tool. It can be used on the stovetop or in the oven and helps cook food evenly. 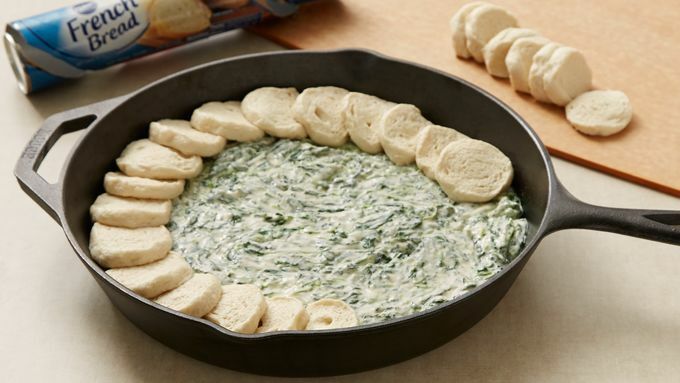 Add a can of chopped artichokes, drained, to this dip, if desired. They add great texture and flavor!